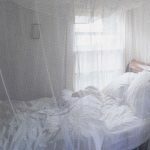 Click on each image 2 times for closer look. 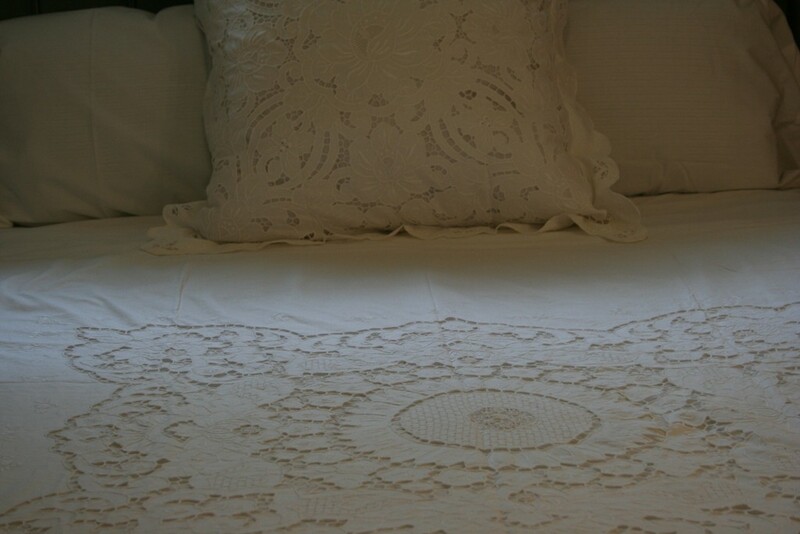 A euro sham pillow is a square pillow used decoratively on beds, usually placed behind standard, queen, and king sized pillows. 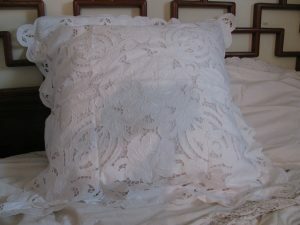 The traditional size for euro sham pillows is 26″ x 26″. 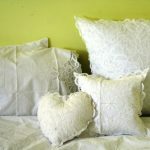 Euro sham pillows are great ways to accessorize the bed, as well as great back support for reading and watching TV while in bed! 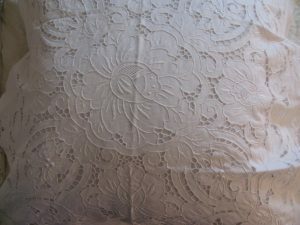 We design this beautiful and elegant heirloom pillow cover in a larger square size. 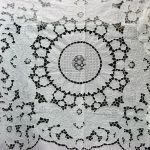 The Allover Cut Work is indeed a symphony of expert hand embroidery techniques: White Work and Cut Work, Open Work and Drawn Thread Work, Raised Needle Weaving Work. The chrysanthemums are also a symphony of hand embroidery stitches such as Satin Stitches, Long & Short Blanket Stitches to create bars, Buttonhole Stitches & Split Stitches for added firmness along an edge. 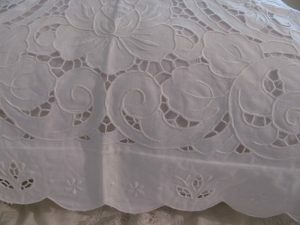 It is All in the Details, the flange is 2-1/2 inches and replete with Cut Work details and embroidered stitches. A close-up view to illustrate. 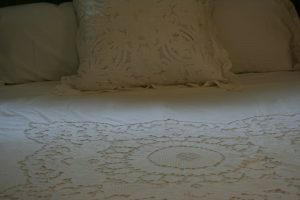 Hand embroidery White Work & Cut Work.